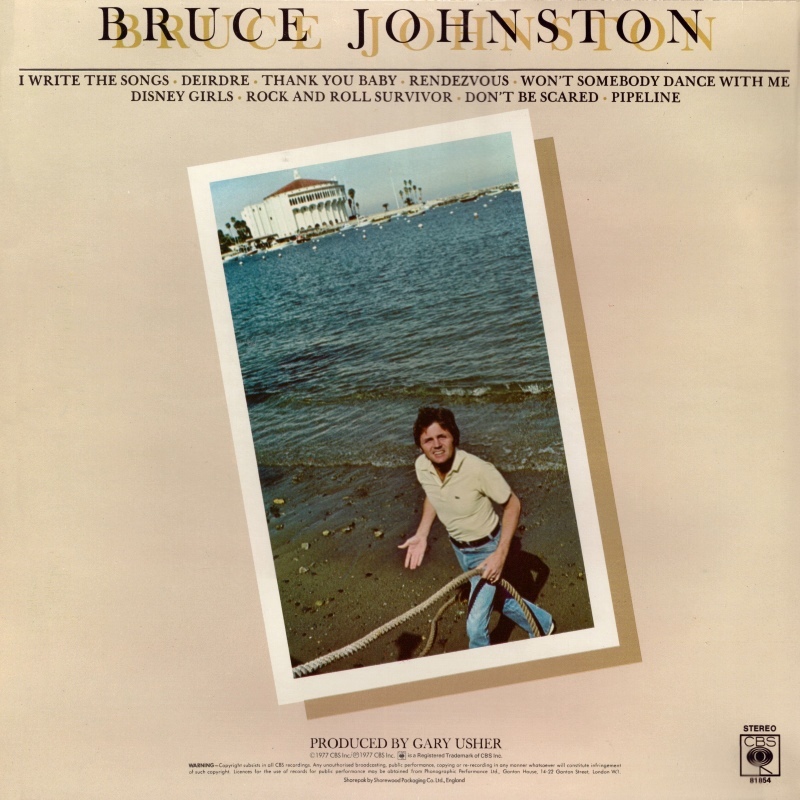 Bruce Johnston. Then he joins the BB's in 1965, and quickly becomes the band member best at wearing shorts, adjusting his mic stand, and encouraging the fans to clap. As much as I miss Brian, Carl, Dennis (Wilson) and Al (Jardine), this band is so together," Johnston said. "We rehearse every day and all the songs are sung in the original keys. We just sing — and without vibrato. Because I don't smoke and never did drugs, my voice is in pretty good shape. I'm just as boring as I was then (in 1965). Bruce Johnston is the most worthless Beach Boy next to Al Jardine. In fact - it's pretty close, as at least Al sang "Help Me, Ronda." 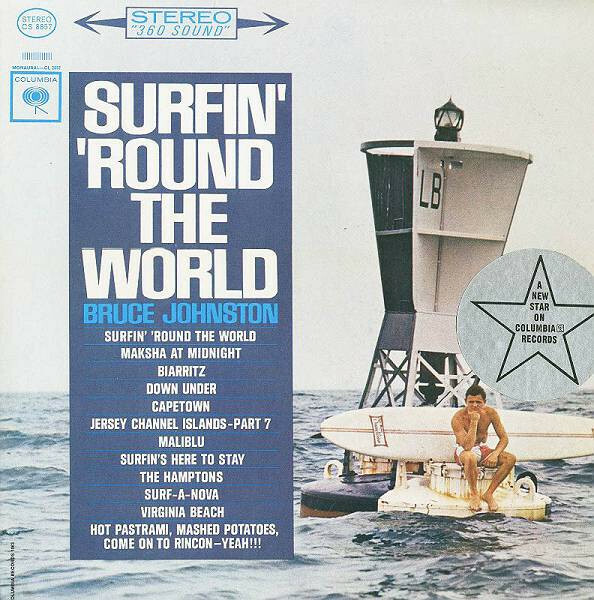 Matt Wilson wrote: Bruce Johnston is the most worthless Beach Boy next to Al Jardine. In fact - it's pretty close, as at least Al sang "Help Me, Ronda." Somebody's got to keep Mike Love company. It's like Nash being the only one who'd speak to Crosby. No member of Beach Boys is worthless - which is why I think they are the greatest band of all time. Nine very talented band members, and here I include David, Blondie, and Ricky, of course. I just wish Bruce had written more songs - he's got it in him. Nash is underrated. He wrote almost as many good songs as say... George Harrison. GoogaMooga wrote: I just wish Bruce had written more songs - he's got it in him. "Tears In The Morning" and "I Write The Songs" make me wish he'd written fewer. ... and he surfs, too. Bruce was a bit ambivalent about his songwriting Grammy - why should he get one when Brian never did. Still, the Grammy is mentioned at Mike's gigs. The second of these has the immortal 'Makshah At Midnight', though. Caught the last episode of an archive BBC doc on the Beach Boys on 6Music VERY early this morning. Interesting that Bruce Johnston said that he wished he had never put forward Dierdre and Tears In The Morning for Sunflower, and in retrospect he didn't think they fitted. borofan wrote: Caught the last episode of an archive BBC doc on the Beach Boys on 6Music VERY early this morning. Interesting that Bruce Johnston said that he wished he had never put forward Dierdre and Tears In The Morning for Sunflower, and in retrospect he didn't think they fitted. I'd say Tears fits on the album, but only just (it sounds compressed and should've been more lively); but Deirdre is mere filler to me. I wonder why he'd say a thing like that. Maybe he wanted to save them for a solo album, or something. They should have kept Glen Campbell in. GoogaMooga wrote: I wonder why he'd say a thing like that. Maybe he wanted to save them for a solo album, or something. Ha ha, how embarrassing, I ought to know that. Just goes to show I've got too many CDs! 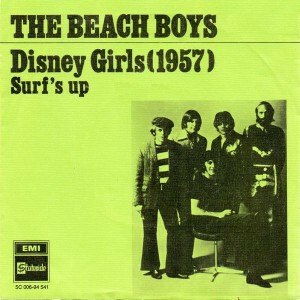 Disney Girls (1957) is a great song, but nothing else that Bruce wrote would even approach my Top 100 favourite Beach Boys songs. Bruce come off too often as fairly saccharine to me in his songwriting, whereas Dennis's songs can also be fairly overdramatic but it works because they feel genuinely heartfelt. I don't really get much of a sense of that with Bruce, and even worse, I don't really get the sense that he overtly enjoys what he does all too much. Contribution wise he seems to have been phoning it in since he rejoined in the late 70s. 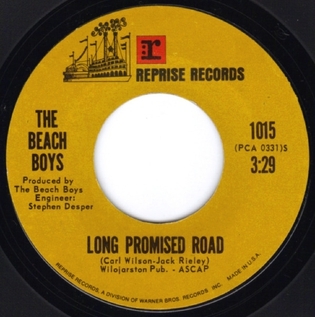 I also have more respect for a Beach Boys member that chooses to side with Brian Wilson over Mike Love (not that I hate Mike, but I don't particularly respect him or his touring BB's jukebox). Since Carl's death, Al's had far and away the best BB voice of the surviving members, being the highlight of most shows of the last 20 years. I like "The Nearest Faraway Place" too, but otherwise that sounds about right to me. Though to be fair, unlike Mike, Bruce has always been one of Brian's biggest champions in interviews, etc.